With Myka Plunkett, Tom Dahl, Tracy Trimm, Jane Barish, Reynolds Whalen, Jen Campbell, Sue Davis, David Knowles, Merle O'Neal and Allen Gabriel. 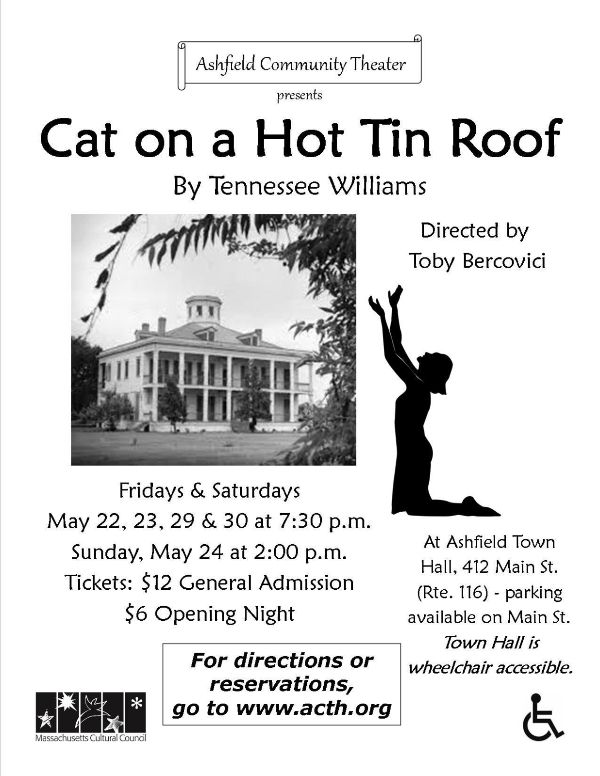 Tickets are $12 and can be ordered online at acth.org. 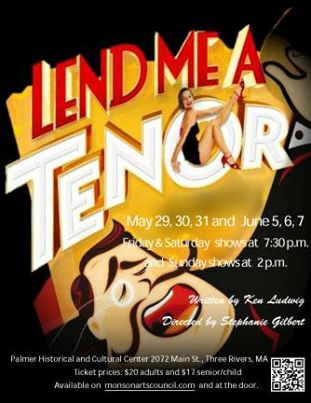 Lend Me A Tenor is a madcap comedy that takes place in 1934 as the Cleveland Grand Opera company prepares to welcome world-famous tenor Tito Merelli for a sold out, one night only performance. It's all downhill from there. What transpires is an hilarious farce full of mistaken identity, slamming doors, and bawdy humor. Join us for an evening or afternoon filled with farce and side splitting hilarity! Tickets are $20 Adults & $17 Seniors and Children. Tickets available online. Granby Jr/Sr High School (385 East State St (Route 202), Granby). The stand up comedy team of Steve and Allen is on the brink of success when Steve's neglected wife Sara and Allen have an unexpected fling, a lifelong dream come true for Allen. Flashy manager Roscoe Clementine who narrates, his latest pickup Polly, and a New York fashion model become involved in covering up the infidelity. The play is interspersed with bits of Steve and Allen's routine which provide a hilarious running commentary on the actions. Rated M for Mature! General Admission is $15.00, $12.00 for Seniors/Students, and all Military (active or retired) are admitted free. For ticket reservations email blackcattheater@gmail.com or call 413-563-6023. Profits from our shows help to support an annual scholarship to a South Hadley High School or Granby High School student going on to college to major in the arts. A Valley tradition now in it's third year! Come laugh and toast life inside the 413 area code! Celebrate our collective Western MA hometowns with an evening or five original tales by local authors presented as old-time radio theatre. Join WHMP host Monte Belmonte and musical guests Mitch Chakour, Molly Damon-Rush, Casey Opal, and Greg Alexander. 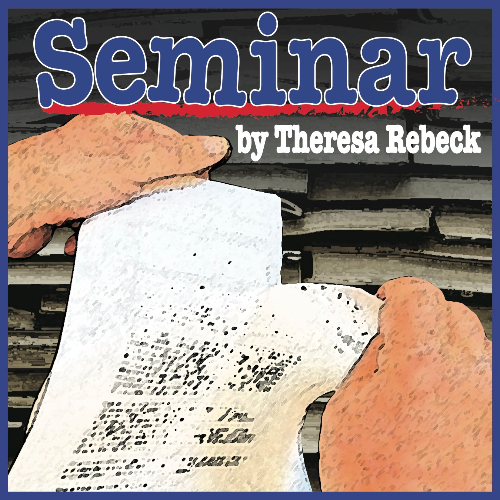 NCT opens its twenty-fifth season with new comedy, by a Pulitzer Prize nominee, that critics hail as one of Rebeck’s best works with big laughs. Four young and aspiring novelists with high hopes for fame sign up for private writing lessons with Leonard – a best-selling author and international literary figure. His unorthodox instruction and shockingly honest assessment gives them the schooling of their lives. The New Yorker calls SEMINAR “Slick and satisfying.” We call SEMINAR the perfect opener in our 25th Anniversary season. Tickets are available online or by calling 413-585-3220 after June 2. More information available on their website or email theatreguildofhampden@gmail.com. 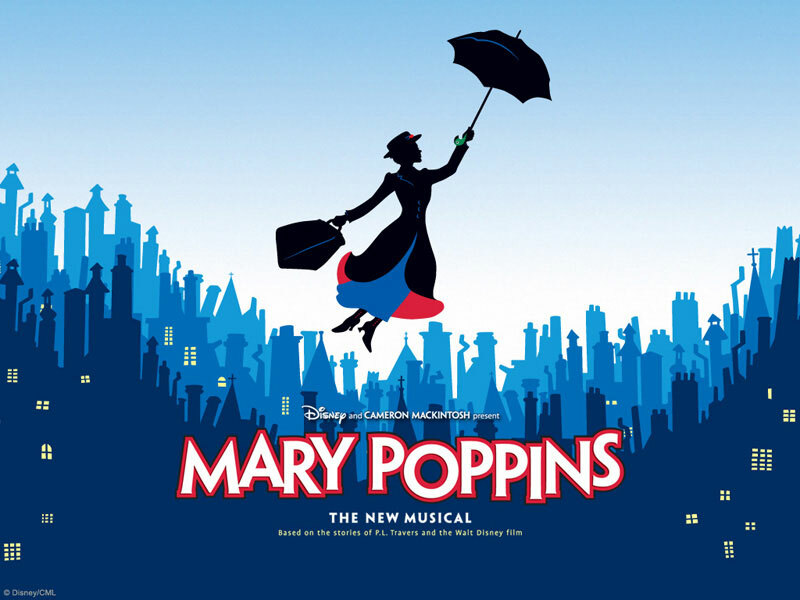 Majestic Theatre 2015-16 Season now casting! Auditions for both Equity and Non-Equity actors for the five shows in the 2015/2016 Season. Call 413-747-7797 for more information and to book an appointment. We are looking for men, women and kids (min age of 7). Please visit www.stmichaelsplayers.com for additional information, such as character descriptions and audition forms. Form should be filled out before coming to auditions. Show dates are November 19, 20, 21 and 22. **Kids auditions start at 6pm and end at 645pm each night. Teens and adult auditions will start immediately following the kids audition.